Happy Leap Day! 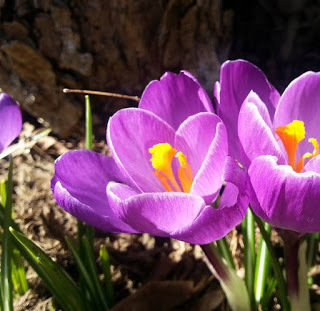 We take a break from our regularly scheduled winter to bring you this spring preview, in the form of sunshine and crocuses. Three weeks and counting! 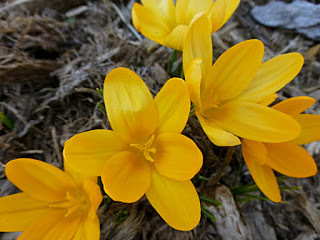 Springing up soon…daffodils and forsythia, followed by tulips and other spring bulbs and azaleas. This entry was posted in Flowers at the Inn and tagged flora and fauna, Winter by Inn on Mill Creek. Bookmark the permalink.